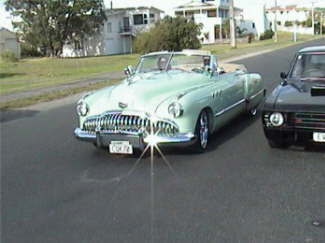 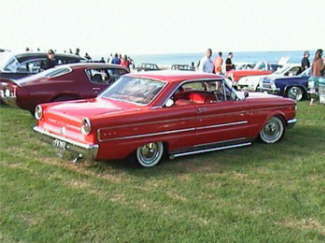 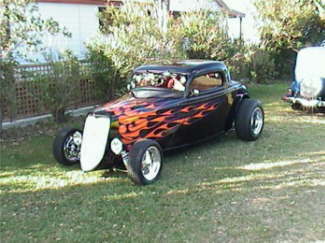 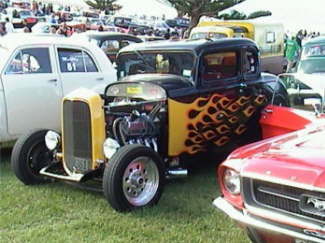 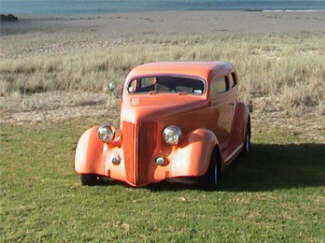 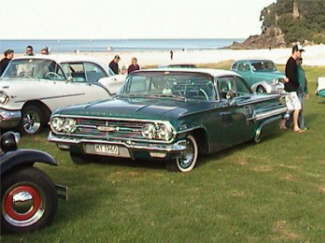 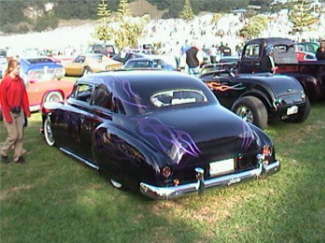 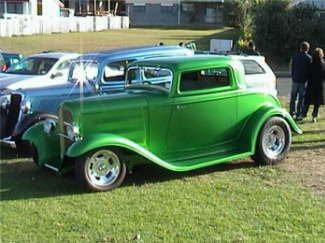 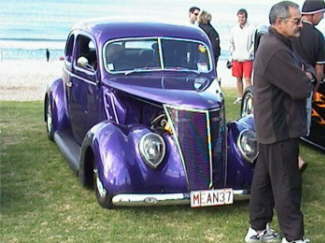 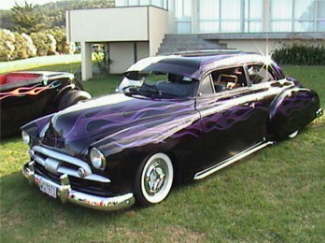 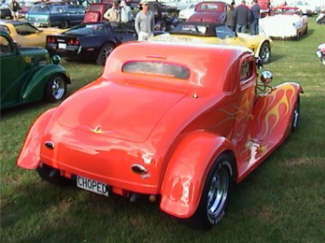 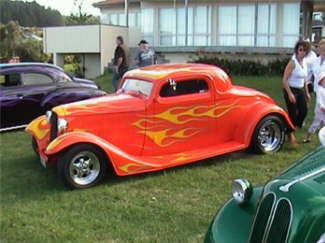 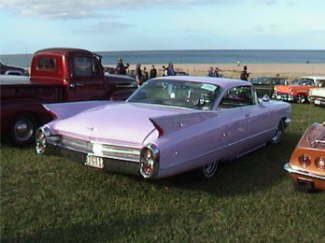 "The Beach Hop is held in the beautiful holiday resort of Whangamata which is right on the Pacific Ocean coastline and about 2 hours drive from New Zealand's biggest city, Auckland. 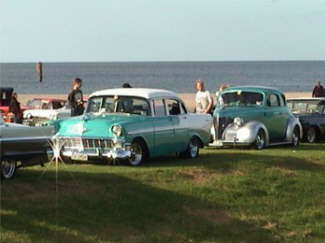 The festival started 5 years ago and is a celebration of all that is great from the 50's and 60's - the music, fashion, dancing, cars and bikes. 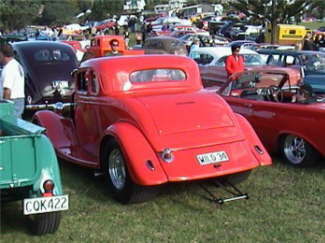 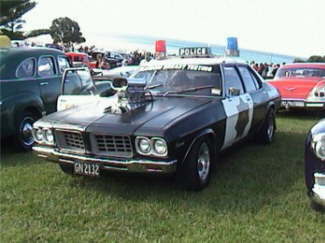 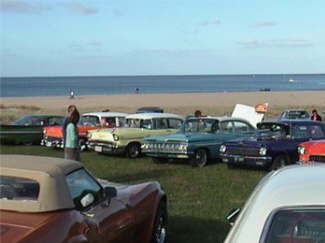 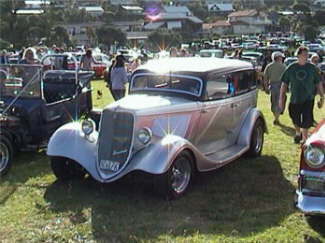 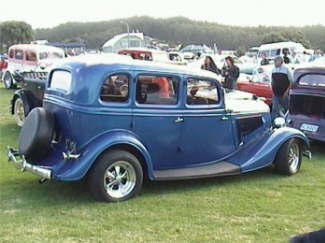 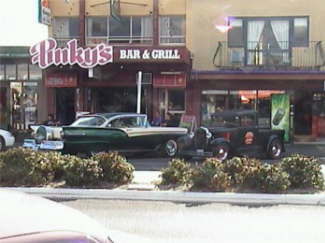 3,000 people and 100 cars attended the first festival back in 2001. 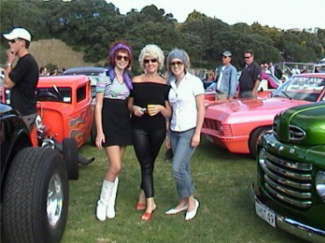 The 2005 Festival was held 28th April to 1st May and attracted over 70,000 people with 1400+ cars registered and 300+ bikes. 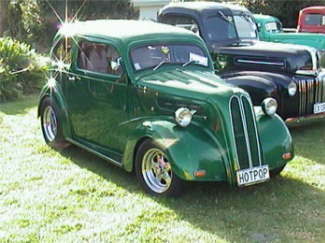 This is from a country with just 4 million people! 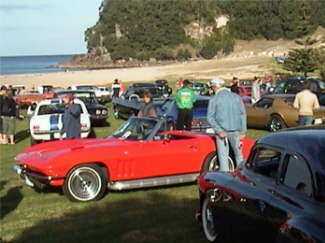 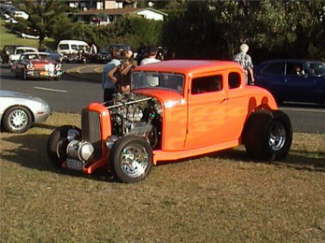 The fun really kicked off on Friday 29th when 1,000 cars took the Thundercruise around the town and out to beautiful Onemana Beach resort where the cars were parked in 2 adjacent reserves next to the ocean. 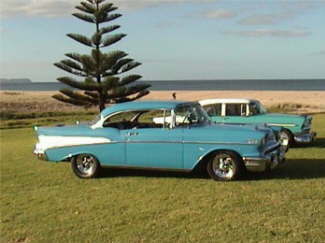 Al & the Wild Katz played rock-a-billy tunes with a backdrop of blue sky, golden sand and crystal clear water. 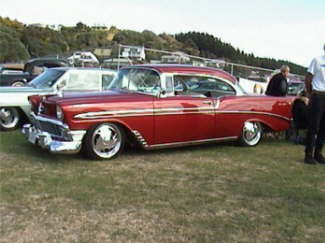 Friday night saw a Drive in Movie at the local school field with the classic Elvis movie "Speedway" shown.